Last week Mexico hosted its annual championship event, with a year’s worth of bragging rights and an all important spot on the national team up for grabs. Mexico is of course host for the 2015 ISA World Stand Up Paddle and Paddleboard Championship, which gives extra significance to these results. This is a rare chance for paddlers to represent their nation while playing host to the rest of the paddleboarding world at the same time. 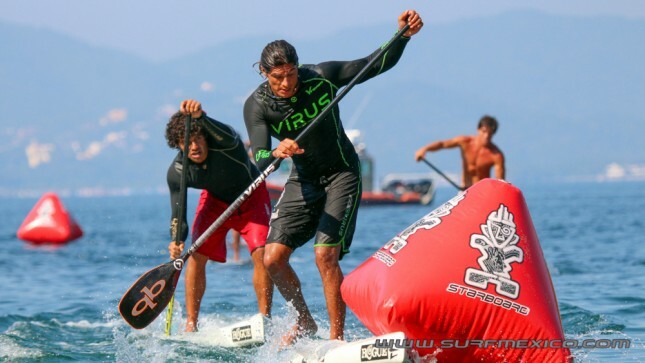 Not surprisingly it was Fernando Stalla and Bicho Jimenez that dominated the men’s SUP racing, swapping 1-2 finishes in the Technical and Long Distance events. The Team Rogue duo are Mexico’s two highest-ranked guys in the world of SUP racing: Fernando is currently ranked #18 in the world while Bicho is right behind him in #20. 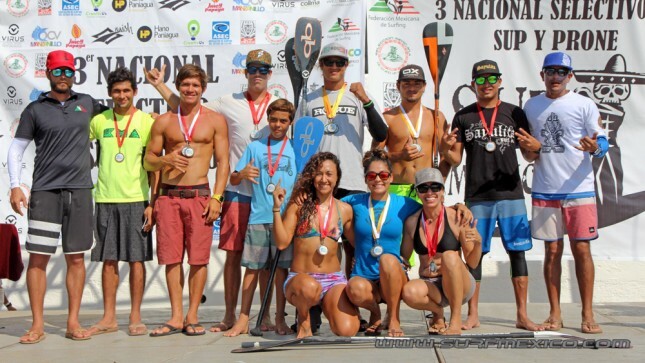 In the women’s it was Anarely Ruiz (Distance) and Karen Jacobson (Technical) splitting the wins at Manzanillo, while the slots for SUP surfing and prone paddleboarding were also filled. The Mexican crew will be looking to use their home court advantage to return to the overall Team Championship podium (top 4 nations) when they host next year’s ISA Worlds. The team finished 6th at the 2014 Worlds in Nicaragua but have reached as high as 3rd in the past (Peru 2013). The 2015 ISA World Champs runs from May 10-17 in Sayulita, Mexico. Here’s a full video recap of last week’s Mexican National Titles thanks to SurfMexico.com – they also have a full gallery of the event).